Areas served: Herefordshire, Shropshire, Worcestershire, Staffordshire, Gloucestershire and all of Wales. With literally hundreds of professional displays under our belts we have built up the experience and knowledge you can rely on. Whilst Titanium Fireworks are the premier supplier of fireworks displays in the UK, including London New Years’ Eve and Edinburgh’s Hogmanay, or closer to home both the Gloucester and Worcester Festivals, we are just as keen to work with you to deliver an intimate display on your special day. 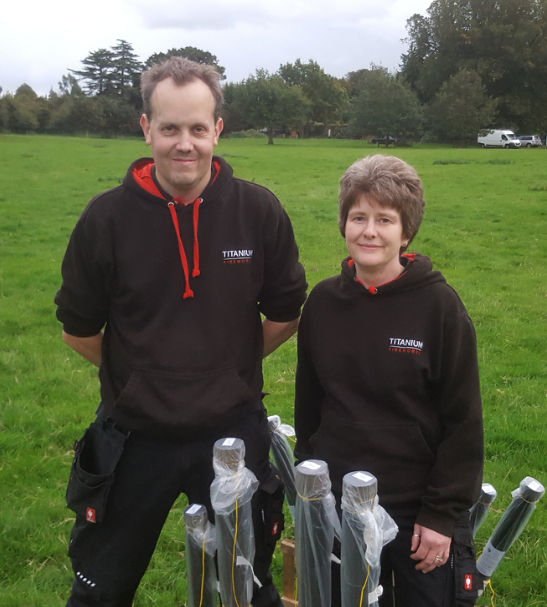 We realise that for many people being able to use local suppliers is important so from our facilities near the Shropshire/Herefordshire border we are well placed to provide a fireworks display for your event. Every single display we deliver is unique and we’ll guide you through the process and help you ensure you get the best possible display for your budget. You can then sit back and relax in the knowledge that you’ve got Titanium Fireworks delivering the final WOW factor for you and your guests.